Pope Honorius III (1150 – 18 March 1227), born as Cencio Savelli, was Pope from 18 July 1216 to his death in 1227. He was born in Rome as son of Aimerico, a member of the Roman Savelli family. For a time canon at the church of Santa Maria Maggiore, he later became Camerlengo of the Holy Roman Church in January 1188 and Cardinal Deacon of Santa Lucia in Silice on 20 February 1193. Under Pope Clement III and Pope Celestine III he was treasurer of the Roman Church, compiling the Liber Censuum, and served as acting Vice-Chancellor of the Holy Roman Church from 1194 until 1198. In 1197 he became tutor of the future Holy Roman Emperor Frederick II, who had been given as ward to Pope Innocent III by the Empress-widow Constance of Sicily. Innocent III raised him to the rank of a Cardinal Priest in 1200, by which he obtained the Titulus of Ss. Ioannis et Pauli. He was dismissed as Camerlengo of the Holy Roman Church in 1198, but about the same time he assumed the post of Camerlengo of the Sacred College of Cardinals. Pope Honorius III by Giotto. On 18 July 1216, seventeen cardinals present at the death of Innocent III assembled at Perugia (where Innocent III had died two days previously) with the purpose of electing a new Pope. The troubled state of affairs in Italy, the threatening attitude of the Tatars, and the fear of a schism induced the cardinals to agree to an election by compromise. Cardinals Ugolino of Ostia (afterwards Pope Gregory IX) and Guido Papareschi were empowered to appoint the new Pope. Their choice fell upon Cencio Savelli, who accepted the tiara with reluctance and took the name of Honorius III. He was consecrated at Perugia on 24 July and was crowned at Rome on 31 August. He took possession of the Lateran on 3 September 1216. The Roman people were greatly elated at the election, for Honorius III was himself a Roman and by his extreme kindness had endeared himself to the hearts of all. Like his famous predecessor Innocent III, he set his mind on the achievement of two great goals: the recovery of the Holy Land in the Fifth Crusade and a spiritual reform of the entire Church. But in contrast with Innocent III, he sought these achievements by kindness and indulgence rather than by force and severity. The Fifth Crusade was endorsed by the Lateran Council of 1215, and Honorius started preparations for the crusade to begin in 1217. To procure the means necessary for this colossal undertaking, the Pope and the cardinals were to contribute the tenth part of their income for three years. All other ecclesiastics were to contribute the twentieth part. Though the money thus collected was considerable, it was by no means sufficient for a general crusade as planned by Honorius III. Far-reaching prospects seemed to open before him when Honorius crowned Peter II of Courtenay as Latin Emperor of Constantinople in April 1217, but the new Emperor was captured on his eastward journey by the despot of Epirus, Theodore Komnenos Doukas,and died in confinement. Honorius III was aware that there was only one man in Europe who could bring about the recovery of the Holy Land, and that man was his former pupil, the Emperor Frederick II of Germany. Like many other rulers, Frederick II had taken an oath to embark for the Holy Land in 1217. But Frederick II hung back, and Honorius III repeatedly put off the date for the beginning of the expedition. In April 1220, Frederick II was elected Emperor, and on 22 November 1220 he was crowned Holy Roman Emperor in Rome. In spite of the insistence of Honorius III, Frederick II still delayed, and the Egyptian campaign failed miserably with the loss of Damietta on 8 September 1221. Most rulers of Europe were engaged in wars of their own and could not leave their countries for any length of time. King Andrew II of Hungary and, somewhat later, a fleet of crusaders from the region along the Lower Rhine finally departed for the Holy Land. They took Damietta and a few other places in Egypt, but lack of unity among the Christians and rivalry between their leaders and the papal legate Pelagius resulted in failure. 24 June 1225 was finally fixed as the date for the departure of Frederick II, and Honorius III brought about his marriage to Queen Isabella II of Jerusalem with a view to binding him closer to the plan. But the Treaty of San Germano in July 1225 permitted a further delay of two years. Frederick II now made serious preparations for the crusade. In the midst of it, however, Pope Honorius III died in Rome on 18 March 1227 without seeing the achievement of his hopes. It was left to his successor, Pope Gregory IX, to insist upon their accomplishment. Besides the liberation of the Holy Land, Honorius III felt bound to forward the repression of Cathar heresy in the south of France, the war for the faith in the Spanish peninsula, the planting of Christianity in the lands along the Baltic Sea, and the maintenance of the impossible Latin empire in Constantinople. Of these projects, the rooting out of heresy lay nearest to Honorius III's heart. In the south of France he carried on Innocent III's work, confirming Simon de Montfort, 5th Earl of Leicester in the possession of the lands of Raymond VI of Toulouse and succeeding, as Innocent III had not, in drawing the royal house of France into the conflict. The most widely important event of this period was the siege and capture of Avignon. Both Honorius III and King Louis VIII of France turned a deaf ear to Frederick II's assertion of the claims of the Empire to that town. Pope Honorius III approved the Dominican Order in 1216, the Franciscan Order in 1223, and the Carmelite Order's Rule of St. Albert of Jerusalem in 1226. In 1219 Honorius III invited Saint Dominic and his companions to take up residence at the ancient Roman basilica of Santa Sabina, which they did by early 1220. Before that time the friars had only a temporary residence in Rome at the convent of San Sisto Vecchio, which Honorius had given to St. Dominic circa 1218, intending it to become a convent for a reformation of nuns in Rome under Dominic's guidance. The studium conventuale at Santa Sabina was the forerunner of the Dominican studium generale at Santa Maria sopra Minerva. In 1217 he gave the title of King of Serbia to Stefan Prvovenčani, whose name "Prvovenčani" means “First-Crowned”. During his pontificate many of the tertiary orders came into existence. He approved the Franciscan Brothers and Sisters of Penance Rule in 1221 with the bull Memoriale propositi. He also approved the religious congregation "Val des Ecoliers" (Valley of scholars), which had been founded by four pious professors of theology at the University of Paris, France. Being a man of learning, Honorius insisted that the clergy receive a thorough education, especially in theology. In the case of a certain Hugh whom the chapter of Chartres had elected bishop, he withheld his approbation because the bishop-elect did not possess sufficient knowledge, quum pateretur in litteratura defectum, as the Pope stated in a letter dated 8 January 1219. He even deprived another bishop of his office on account of illiteracy. Honorius bestowed various privileges upon the University of Paris and University of Bologna, the two greatest seats of learning during those times. In order to facilitate the study of theology in dioceses that were distant from the great centers of learning, he ordered in the bull Super specula Domini that some talented young men should be sent to a recognized theological school to study theology with the purpose of teaching it afterwards in their dioceses. Honorius III acquired some fame as an author. The most important of his writings is the Liber censuum Romanae ecclesiae, which is the most valuable source for the medieval position of the Church in regard to property and also serves in part as a continuation of the Liber Pontificalis. 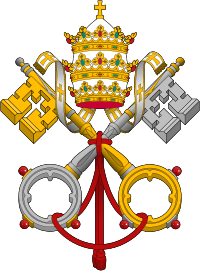 It comprises a list of the revenues of the Apostolic See, a record of donations received, privileges granted, and contracts made with cities and rulers. 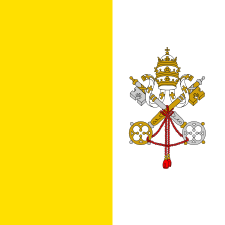 It was begun under Pope Clement III and completed in 1192 under Pope Celestine III. The original manuscript of the Liber Censuum is still in existence (Vaticanus latinus 8486). Honorius III also wrote a biography of Celestine III; a biography of Gregory VII; an "Ordo Romanus", which is a sort of ceremonial containing the rites of the Church for various occasions; and thirty-four sermons. Honorius is also purported to be the author of a grimoire. "In this text called The Grimoire of Pope Honorius, he supposedly discusses the value of occult knowledge in the Church, and how by summoning or raising demonic entities, one could learn to control them. The supposed author uses his faith in God and mixes with it the teachings of King Solomon; it contains invocations of demonic entities for every day of the week. He talked about the priest needing to fast for a certain amount of time and the sacrifice of animals in order to help with the binding of evil spirits." All this would be in contrast, however, with the pope's insistence on bishops knowing Catholic theology and as being contrary to the Catholic teaching on witchcraft or sorcery as also seen in both the Old and New Testaments and early Church councils (Catholic Encyclopedia, article "Witchcraft"). ↑ Recent revisionist argumentation has suggested that he might not have been a Savelli. The argument is based on the undeniable fact that there is no contemporary document that calls him Cencio Savelli. However, surnames were not in common use in the 12th and 13th century. The first use of the name Savelli is in connection with the father of Honorius IV, Luca Savelli. See Renato Lefevre, "Un papa Savelli (Onorio III) che non fu Savelli," Strenna dei Romanisti 52 (1991) 283-290; and Gualtiero Sirtoli, "Onorio III: il permanere di un dubbio sulla sua appartenenza al lignaggio Savelli," Frate Francesco 71 (2005), 415-431. But there is no certain proof that Honorius III did not belong to the Savelli family. ↑ The date is an inference. His latest signature as a Cardinal Deacon was on April 13, 1200. His first signature on a document as Cardinal Priest occurs on November 23, 1201. See Augustus Potthast, Regesta pontificum Romanorum I (Berlin 1874), p. 466. Conradus Eubel, Hierarchia catholica medii aevi I editio altera (Monasterii 1913), p. 3 n. 1. ↑ This institution would be transformed in the 16th century into the College of Saint Thomas (Latin: Collegium Divi Thomæ), and then in the 20th century into the Pontifical University of Saint Thomas Aquinas (the "Angelicum"), sited at the convent of Saints Dominic and Sixtus. The curriculum specializes in the strict interpretation of the theology of St. Thomas Aquinas; 3/4 of its 1000 students are from the clergy. ↑ Gardner, Gerald (2004). The Meaning of Witchcraft. Red Wheel Weiser Conari. p. 98. ISBN 1-57863-309-5. . Alberto Fidi, Il grimorio di papa Onorio III (Milano: Alberto Fidi, 1924). Grimoire du Pape Honorius: Avec un recueil des plus rares secrets (1670). ↑ Boyd, Katie (2009) p. 100, "Devils and Demonology in the 21st Century", Shiffer Publishing Ltd., Atglen, PA.
Abbé César Auguste Horoy, Honorii III Romani pontificis opera Omnia 5 vols. (Paris 1879-1882). Pietro Pressuti (editor), I regesti del pontefice Onorio III dall anno 1216 al anno 1227 Vol. 1 (Roma 1884). J. Clausen, Papst Honorius III (1216-1227. Eine Monographie (Bonn: P. Hauptmann 1895). Ferdinand Gregorovius, History of Rome in the Middle Ages, Volume V.1 second edition, revised (London: George Bell, 1906) Book IX, Chapter 3, pp. 96–128. Narciso Mengozzi, Papa Onorio III e le sue relazioni col regno di Inghilterra (Siena: L. Lazzeri, 1911). Mauro Giacomo Sanna, Onorio III e la Sardegna (1216-1227) (Cagliari: Centro studi filologici sardi, 2013). Pierre-Vincent Claverie, Honorius III et l'Orient (1216-1227): Étude et publication de sources inédites des Archives vaticanes (ASV) (Leiden: Brill 2013). Initial text taken from a paper copy of the 9th edition of the Encyclopædia Britannica; 1881. Please update as needed. This article incorporates text from a publication now in the public domain: Herbermann, Charles, ed. (1913). 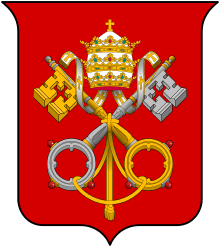 "Pope Honorius III". Catholic Encyclopedia. New York: Robert Appleton.